Talya started coaching at Gold Star in the spring of 2010. She had joined our All-Star Cheer in 2009 and throughout her career cheered for thirteen years. In 2015, she took on the role of Assistant Camp Director and is now a member of our management staff. 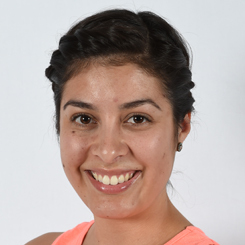 She earned her Bachelors in Spanish Language and Literature with a minor in Linguistics from San Jose State University and has a USA Gymnastics Safety Certification, CPR and First Aid certifications. She has even hiked to an active volcano in Guatemala and roasted marshmallows over lava!